Cisco always attempts to make our lives easier, or at least sometimes. When you setup your last CE router, did you make sure all the necessary security measure were setup? Is it protected against DOS attacks, stack or buffer overflows? 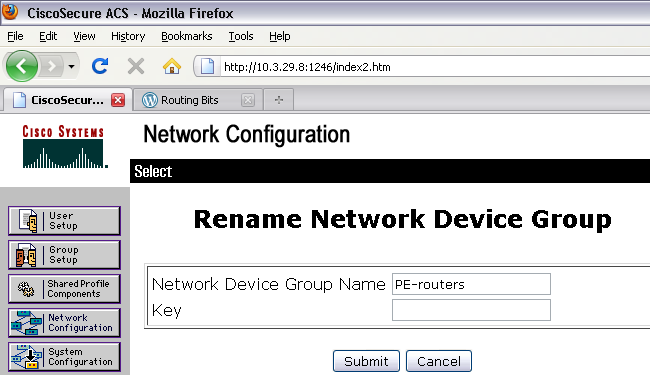 Aare you logging the correct info in case someone tries to access your network? Cisco, quite some time ago, wrote a macro command combining what they believe to be the necessary and recommended features that should be enabled on every CE router. Just because this command could make your life easier, you should understand each action that is executed, or else you might disable or break a needed function. If you need to upgrade the IOS on a FWSM (Firewall Switch Module), you will soon find out, that the upgrade works slightly different to routers. You don’t have the option of using multiple ‘boot system’ commands, nor can you copy more than one IOS image to the FWSM flash. But then what about failback, if you don’t have the old/current IOS version? (and no you can’t just tftp/ftp the current image from a FWSM when in-use). So now what? A really neat yet fairly undocumented feature is how the FWSM addresses the space allocation of the Flash memory. Refer to the application partitions (cf:4 and cf:5), see a previous post that listed the partition break down. Application Partition cf:4 is used by default, but cf:5 not. Because cf:5 provides a secondary partition to boot from, it allows you to test config on a new IOS version. If you boot of cf:5 appose to cf:4, you have a clean and fresh ‘dir flash:‘ to load a new IOS image on, while leaving the working ‘dir flash:‘ intact . Then reload the module, and load the ‘test’ IOS image to flash (now cf:5) and do any tests necessary. Once happy remove the above command and upgrade to the new IOS on the default partition cf:4. Password recovery on a router is easy, and it is even easier to find the steps if you dont know. What if you forget the login and enable passwords, or you created a lockout situation because of AAA settings on a FWSM (Firewall Switch Module) blade inside a Cisco 6500 or Cisco 7600? The Cisco way is not hard but needs understanding of the hardware. The FWSM has a 128-MB Flash memory card that stores the operating system, configurations, and other data. The Flash memory includes six partitions, referenced as ‘cf:n‘. Maintenance partition (cf:1) — Contains the maintenance software. Network configuration partition (cf:2) — Contains the network configuration of the maintenance software. Crash dump partition (cf:3) — Stores the crash dump information.